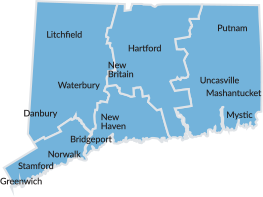 Connecticut spans just 110 miles from east to west. And 70 miles from north to south. But across our diverse yet compact regions, you'll find everything you need to both unplug - and recharge! Mohegan Sun is the East Coast's premier entertainment and gaming destination.